Winds of change on Vortex Traks, a label that set off in Berlin two years ago and has been among the city’s exciting newcomers in electro segment. The arrival of Kimmo Rapatti aka Mono Junk could be well a sign of further electro adventures, but the Finnish analogue guru pays tribute to another side of dance music’s basics. 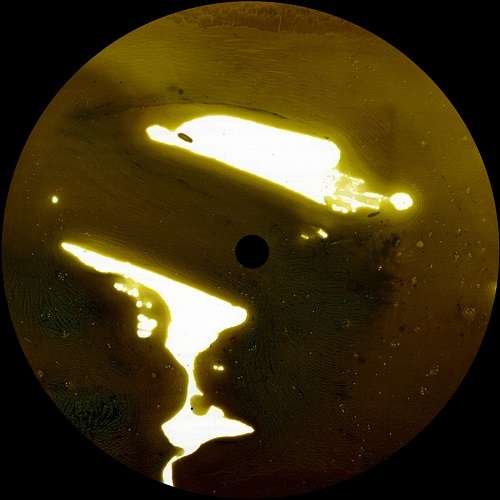 Raw synthetic sound between wave and disco is the main theme, slightly reminding of his recent “Pata EP”, a collaboration with Freestyle Man on Rapatti’s own DUM Records. The opener “Saint Boulevard” is located between cult and camp when singing hallelujah to hardware escapades and cold, nonchalant anthem “Suomen Moroderit Theme (Forever Dub)” is exposing disco balls to Northern lights. “Last Time” is even more wave influenced tune that recalls fellow Finnish arist Kompleksi, while “Minä unelmoin, minä rakastin” sees the world via the eyes of a daydreaming yoik singer in experimental mood.